Colorado communities are invited to attend one of three half-day workshops held this March to learn how to strike a balance among the many demands facing their downtown streets. Workshop attendees will learn how to communicate and work with state and local agencies, identify problems, consider solutions, and get projects built to improve their downtown. The workshops are designed for community residents, engineers, planners, advocates, and anyone else interested in making their downtowns better. Workshop attendance is limited so those that are interested are encouraged to sign up now. We are offering these workshops in partnership with the Colorado Department of Transportation, Department of Local Affairs, and Department of Public Health and Environment. To be scheduled: At least two more workshops on the western slope. “You can handle the truth?! ?” Best practice in records requesting. Styles vary dramatically. Maybe you’re the kind of person who “weezes the juice”. Maybe not. Maybe you’re uptight like Judge Smails. Maybe not. Whatever the case, you’re the kind of person who needs to get things done and the CFPS state support staff can help! Kate and I have been road trippin’ across the state for the last several months in an effort to visit at least one of our local partners each month. (If you’d like us to visit you, all you need to do is say so! We’re pretty relentless when an opportunity presents itself, however, so be prepared!) Throughout the course of our travels, we’ve learned a lot about each other’s preferences. For instance, my colleague, Kate, has an unusual affinity for the powdered scrambled eggs that each hotel we’ve stayed in conspicuously seems to share and serve. I, on the other hand, have developed an inappropriate relationship with the sometimes raw, sometimes crispy sausages these same hotels also all seem to share! Spending all this time together, however, we’ve also developed some routines, like getting coffee from a local shop each morning (admittedly though, Kate gets some kind of weird tea/milk mix! Blech!) (Shout out to Solar Roasters in Pueblo!). We know these patterns and differences develop through experience. Sometimes they can be good, e.g., the powdered eggs - these are 100% real, apparently. Sometimes, however, they may not be so good, witness the undercooked breakfast sausage. Just like these habits, your review process can develop its own patterns, some good and some bad. Here are a few items to keep in mind when requesting records. Our statute 25-20.5-408(1a) specifically calls out our access to records from departments of human/social services. The statute indicates that “…the state review team and the local or regional review teams shall have access to all records and information in the possession of the department of human services and the county departments of social services that are relevant to the review of a child fatality, including records and information related to previous reports and investigations of suspected child abuse or neglect.” This means that you should be requesting these records from the county of residence and receiving reports prior to the meeting to help complete sections related to history of victimization and perpetration for the decedent, caregiver, or supervisors as circumstances of the case dictate. While it is useful for DHS to share this information during the meeting, best practice would be to request and receive these records prior to the meeting to have the most complete available information at your fingertips. This special report focuses on death by suicide using 2013 and 2014 data from 18 states participating in the National Violent Death Reporting System (NVDRS). The report provides an overview of deaths from violence in the U.S., a detailed look at deaths by suicide nationally (see infographic) and among states — including circumstances surrounding suicide deaths in various demographic groups — and an exploration of similarities and differences in violent deaths among the 18 states. The 18 states included in this report completed NVDRS data collection for 2013 and 2014 and submitted these data to CDC for compilation in the annual NVDRS Restricted Access Database (RAD), a de-identified, multi-state, case-level micro dataset prepared by the CDC for use by researchers and other investigators. These states are Alaska, Colorado, Georgia, Kentucky, Maryland, Massachusetts, Michigan, New Jersey, New Mexico, North Carolina, Ohio, Oklahoma, Oregon, Rhode Island, South Carolina, Utah, Virginia, and Wisconsin. 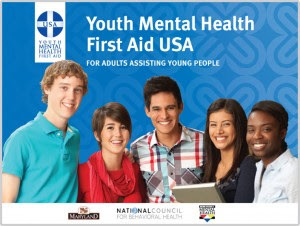 Project AWARE will be hosting a Youth Mental Health First Aid course at the Colorado Department of Education (in the State Board Room) on Saturday, February 25th, 2017. This is the 8-hour certification course (not the instructor course). This training is open to the public as well. Please see the flyer for more details about the funding and course information. The Office of Suicide Prevention has released a request for applications for the Community Grants program. Agencies and organizations of all sizes are encouraged to apply. Questions? Please contact Office of Suicide Prevention Director Sarah Brummett at sarah.brummett@state.co.us. To create healthy and engaging learning environments, we need to give students what they need to succeed. On Friday, March 3 we’ll shine a spotlight on comprehensive approaches to a healthy school culture that contributes to student success. CELEBRATE the 2017 Healthy School Champions - innovative schools who implement coordinated approaches to school health and wellness to support student learning. DISCOVER educational strategies that promote student growth and educator success in breakout sessions. 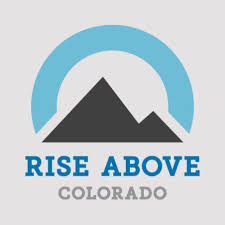 COLLABORATE and network with your educator peers and experts in the field to better meet the needs of Colorado schools and students. The U.S. Department of Justice (DOJ), Office of Justice Programs (OJP), National Institute of Justice (NIJ) is seeking applications to strengthen the medical examiner-coroner system. This program furthers the Department’s mission by providing resources to improve medicolegal death investigations (MDI) in the United States. Eligible applicants are agencies directly involved in medicolegal death investigations as part of their normal business, such as medical examiner offices and coroner offices. States (including territories), units of local government, federally recognized Indian tribal governments (as determined by the Secretary of the Interior) that perform law enforcement functions, non-profit and for-profit organizations (including tribal non-profit and for-profit organizations), institutions of higher education (including tribal institutions of higher education), and certain qualified individuals. For-profit organizations (as well as other recipients) must forgo any profit or management fee including tribal institutions of higher education). Cure Violence is an organization using a public health approach to eliminate violence by treating violence as an infectious disease. Beginning in 2013, the Child Fatality Prevention System transition from a centralized, state-level review process to reviews conducted across the state by local child fatality prevention review teams is considered a national best practice, but is also being evaluated by the State Support Team. The 5-year evaluation process is now past the mid-point and into Year 3. 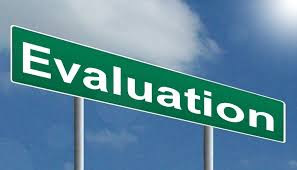 You can catch up on the first half of that evaluation process here in the 2016 CFPS Midpoint Evaluation Report.